The first post for a while, but having been out of the loop for a few weeks it was high-time I went back out into the field, and there's no better day to do that than on your birthday. I had a few options to choose from on Wednesday. Should I go for the Long-billed Dowitcher at Lymington? I dipped the one at Slimbridge last year so it would have been a welcome tick. As it transpired I would have dipped this one too if I'd gone as it had moved on – if only about a mile or so. The Night Heron in Leicestershire was tempting but just a bit too far away. 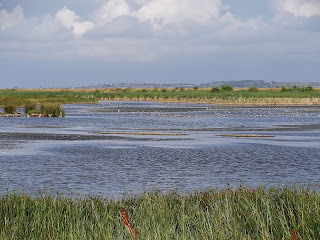 In the end I settled for a regular haunt in Kent – Elmley Marshes. 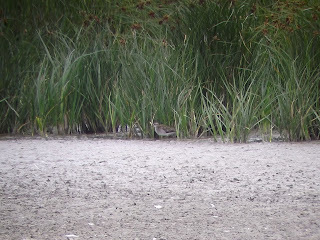 The temptation was a Buff-breasted Sandpiper, Cattle Egret, a few Wood Sandpiper and Curlew Sandpiper. Any combination would be good. 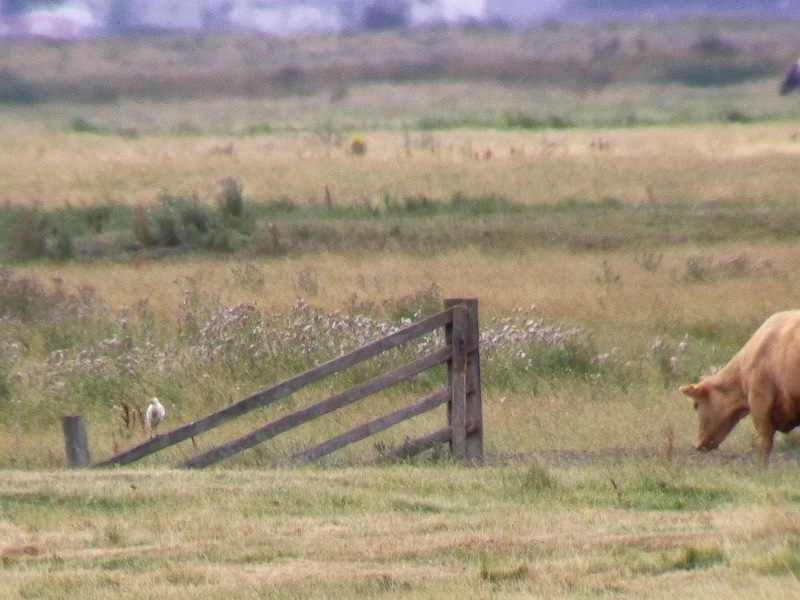 I overslept, which didn't start the day off too well, but I got to Elmley by 7am. I hadn't done my homework, however, as high tide wasn't until 1pm so most of the waders were on the Swale. 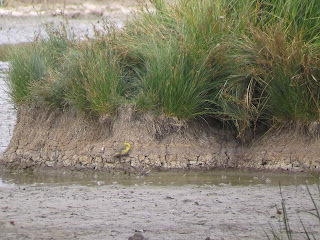 Having parked at Kingshill Farm, where there were a few Yellow Wagtail present, I began the long walk down towards the reserve itself. I counted at least six Marsh Harriers on the way, plus more than 100 Curlew feeding in the fields. At the reserve proper, I trudged around the hides, and managed to find three Wood Sandpiper during the day, plus plenty of Ringed Plover, Redshank and Avocet, more Yellow Wagtail, a couple of Green Sandpiper, a Common Sandpiper, Golden Plover, two handsome Knot in summer plumage and a few Black-tailed Godwit. A Cuckoo flew across while viewing in Wellmarsh hide, plus a Peregrine got the Avocet up in the air to see it away from their young. 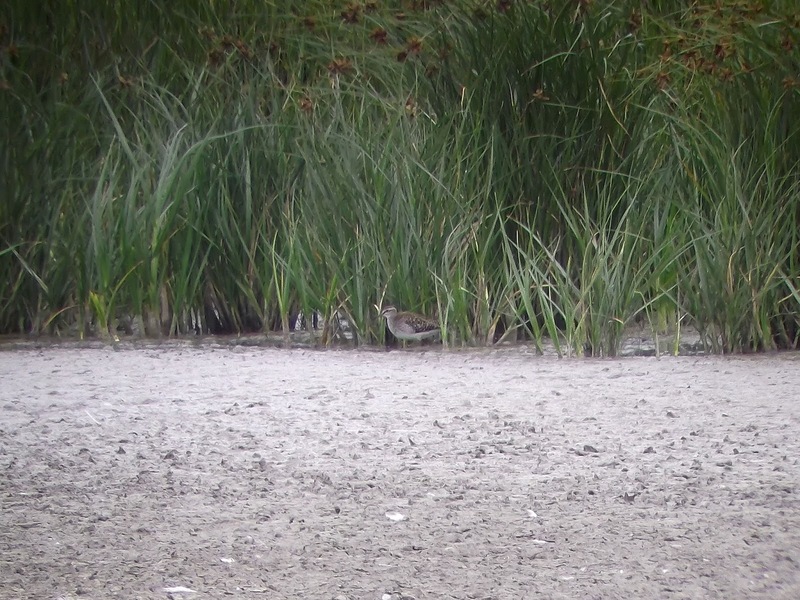 The South Fleet hide was where the Buff-breasted Sandpiper had been seen in recent days, but no matter how long I stayed, it didn't appear. Neither were there any Curlew Sandpiper. 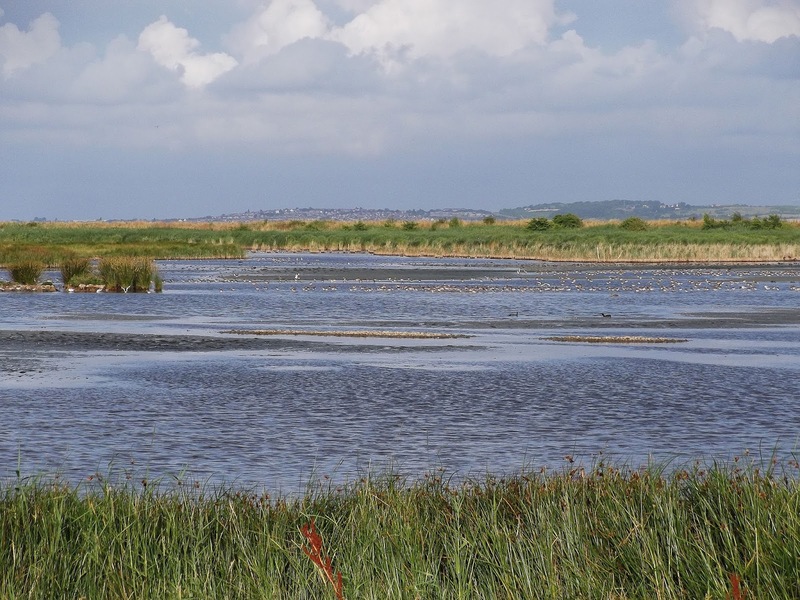 One birder from Guildford went further afield and ventured down to the most distant viewpoint – Spitend hide – to watch across the Swale and he struck lucky with a couple of Arctic Skua and a Sandwich Tern. 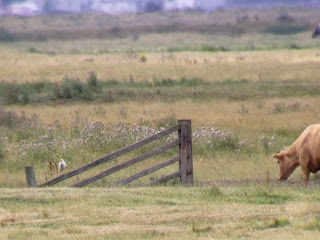 I'd been at Elmley for at least eight hours and had yet to see anything more interesting than the three Wood Sandpiper. 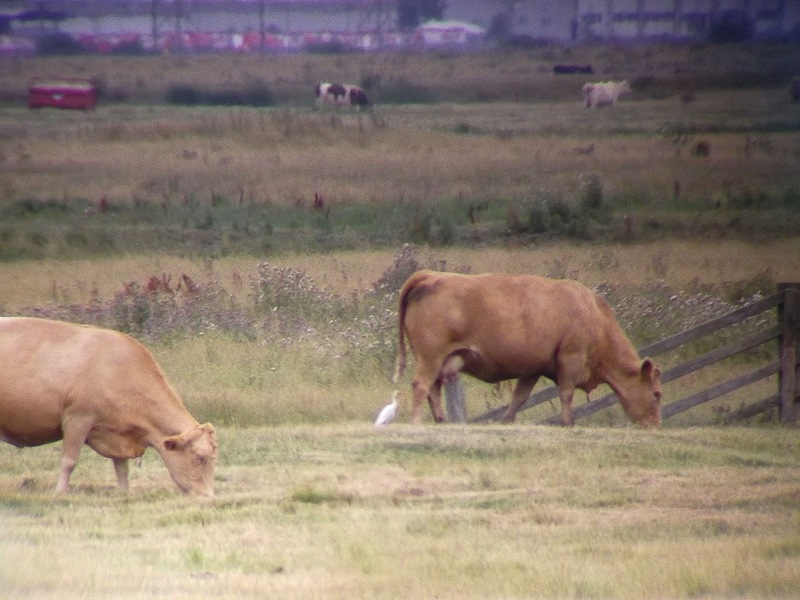 I bumped into local Surrey birder John Benham, and he had seen the Cattle Egret earlier in a field behind the Counterwall hide feeding with a herd of cattle. As it was getting late and the Buff-breasted Sandpiper was nowhere to be seen, I took a punt and walked down the path towards the hide where I could see a birder looking across the fields. As I approached he was walking away. I assumed he had drawn a blank, but actually he'd enjoyed good views of the Egret feeding amongst the cattle. What a relief! 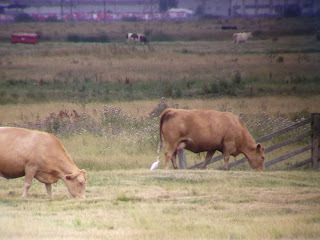 As I stood up on the embankment and looked across the field to where the cattle where grazing there was the Cattle Egret skulking among them. It would surreptitiously creep up to one of the cattle, peck away at its leg, ear, nose or stomach and then creep back down into the surrounding ditch for a while, before venturing out again. The Cattle Egret was a first for me so made the trip a worthwhile one, even though it had been a bit of a grind – as is always the case with Elmley, there was plenty of walking involved. After 3pm both John and I opted to visit Oare Marshes in the hope of finding some Curlew Sandpiper but no joy. I couldn't find the Bonaparte's Gull either, which was annoying even though I'd already seen the Eastbourne bird earlier in the year. Despite the lack of a decent find it was still interesting to study the waders on the East flood closely.